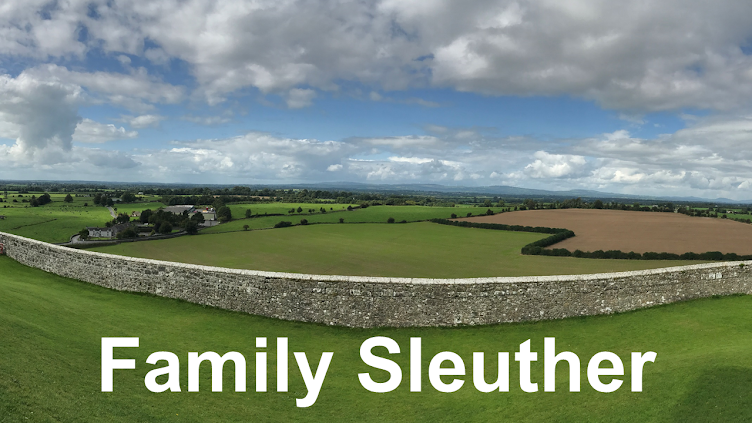 Family Sleuther: Happy National Sisters Day: Ancestor Edition! 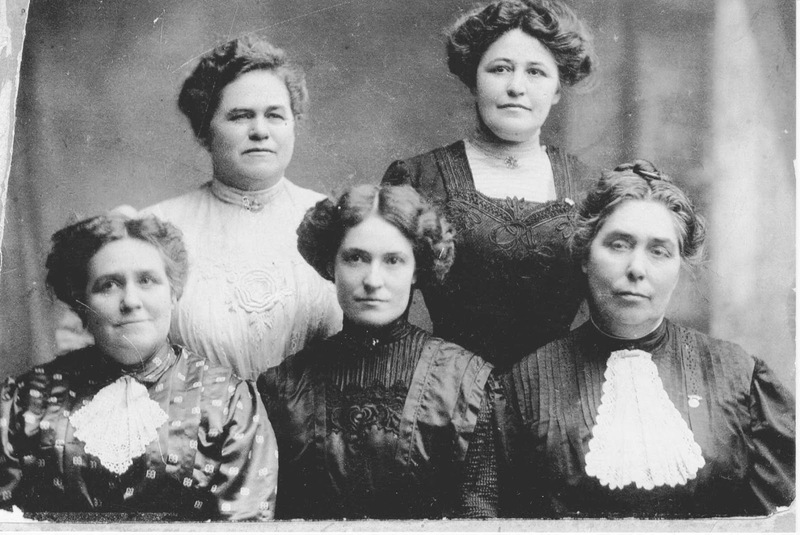 Happy National Sisters Day: Ancestor Edition! What? You didn't know there was a day to commemorate sisters? Please! If we can have a designated National Hot Dog Day, then you better believe there's a day to commemorate everything. Not having any sisters of my own to celebrate, my family historian mind immediately thought of an old black and white photo that depicts a cast of seemingly fascinating characters - the Lumpkins sisters. My third great-grandparents William and Phoebe (Howerton) Lumpkins had nine children: six girls and three boys, including my second great-grandfather John Lumpkins. Sadly, John passed away on his 38th birthday. 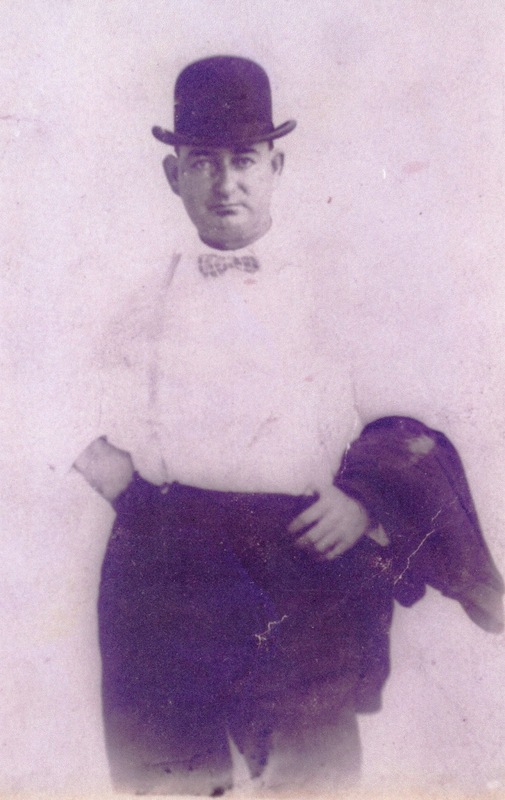 On February 24, 1910, as John left his barbershop to head home, he slipped on a patch of ice and hit his head. Suffering a traumatic brain injury, he succumbed later that evening leaving behind his wife Minnie with three children and one on the way. After Minnie remarried, John's siblings, including his five sisters who were still living at that time, would provide his children their only remaining link to the Lumpkins family. The society pages revealed continued visits, and family photos would occasionally include one of the Lumpkins aunts. But who were they? I've been able to determine who they married and when they passed away, but nothing more substantive about their personalities and what they were like. While there is important research that must continue (after all, what family history and photos did they pass down to their descendants? ), for the purposes of today, we'll judge a book by its cover and infer their personality from their stern black and white photo. 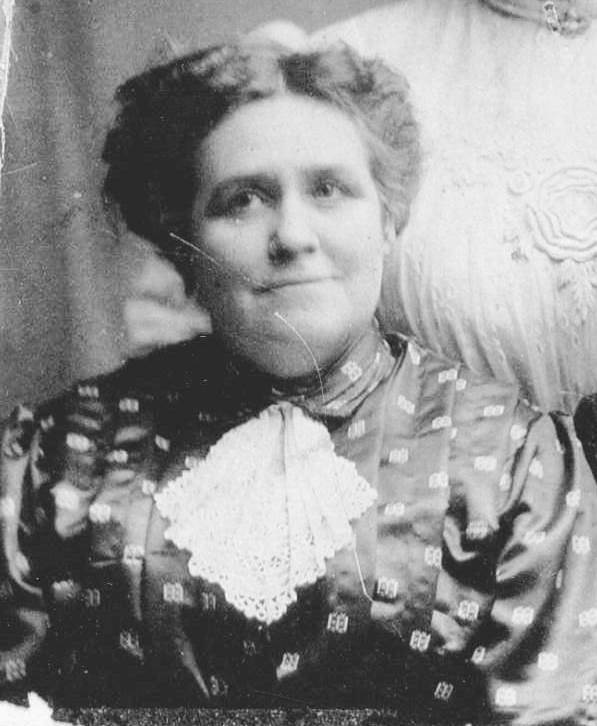 According to her birth record, Sarah Jane Lumpkins was born May 27, 1856 in Morgan County, Kentucky. Sometime between 1860 and 1870, the entire Lumpkins family moved to Shawnee County, Kansas. By the time of the 1910 census, she had been married for 32 years to Frank Markham. Together they had two sons: William and Charles. While we know where she's buried, there's no record of her death year (no year inscribed on her headstone and the cemetery's records are incomplete). She appeared in the 1930 census, but not the following decade, so I speculate she passed away within that time frame. Based solely on her photo, I imagine her to be the gentle grandmotherly sister. Just look at those eyes and faint smile! According to her death certificate, Mary Lumpkins was born April 14, 1862 (presumably in Morgan County, Kentucky). She's been more difficult to pinpoint in the census records. We know she married Daniel F. Brown and lived in Missouri (again, thanks to the death certificate). When she passed away in July 1946, she was to be buried in Memorial Park in Kansas City, Kansas. On the complete opposite spectrum from Sarah Jane, I imagine Mary was the sharp tongued, skeptical sister. Look at that face! She looks like she's just about had enough of their tomfoolery. According to the 1900 census, Martha Elizabeth Lumpkins was born in December 1865 (again, presumably in Morgan County, Kentucky). 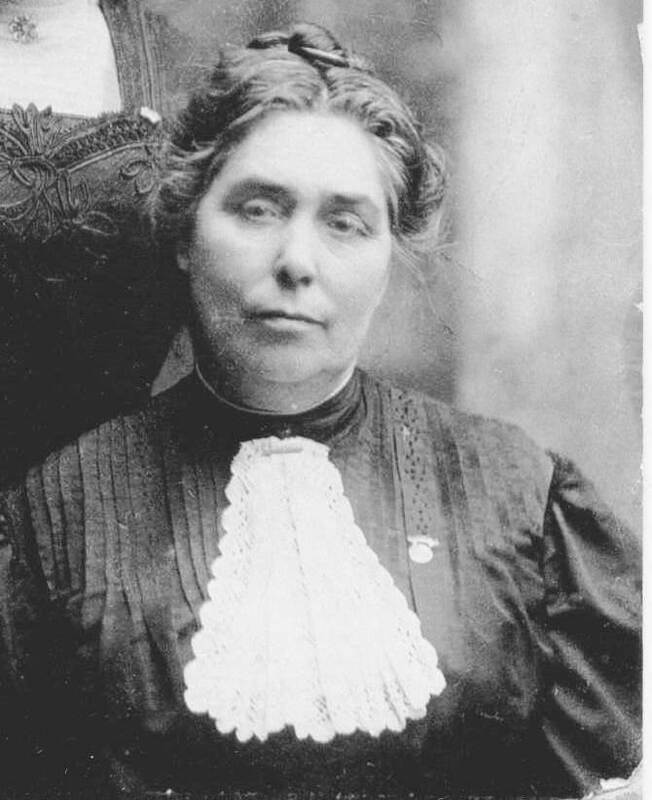 In 1883, she married David Yocum. They had two sons: Claude William and Earl. The marriage apparently fell apart because David gave his marital status as divorced in the 1900 census. Martha said she was married although there was no spouse enumerated in her household. In 1904, she remarried to Wilton A. Powers. According to an index of obituaries for the Topeka State Journal, Martha passed away in late April or early May 1938 (despite that her tombstone is engraved with a 1937 death year). Doesn't Martha look like a blend of her sisters Mary and Sarah Jane? Her eyes hint at a moderated combination of stern kindness. The 1910 census tells us that Myrtle Lumpkins was born in about 1874 and had been married to Elmer E. Koons for 18 years (suggesting a marriage date of about 1892) and that they had - by that year - four children (all of whom were still alive). According to her headstone, Myrtle died in June 1955. She was buried in the same cemetery as her parents and brother John. Of her siblings, her youthful gaze gives the impression of innocence. She certainly doesn't have any of the sternness that sisters Martha and Mary portray. 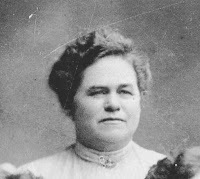 The youngest of the Lumpkins sisters was Minnie who was born November 9, 1877 in Rossville, Kansas according to her obituary. 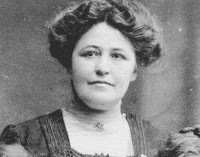 In November 1899, she married Raymond Riley Stull and had a son Cyril Claude. After Raymond died, she remarried to Challis McVay. 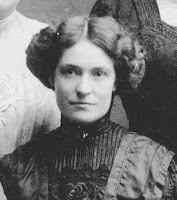 She died in 1970 and was buried in Bent County, Colorado. Her obituary shed more light on the Lumpkins family's move from Kentucky, stating that William and Phoebe headed to Kansas following the close of the Civil War. Minnie was the last living Lumpkins sibling at the time of her death in 1970. It must be difficult to see your family pass on and be the last one, and perhaps, with that in mind, is why I imagine her face to represent a certain youthful yet knowing maturity. In sum, I wonder what the dynamic was between these sisters. To sit for a portrait together suggests that they were close. But surely they bickered and snapped like all siblings. What happiness, heartaches and struggles did they share? We can only imagine the shape of the bond between these sisters captured forever in a black and white portrait.